If your Globe GoSAKTO promo has expired, you can now subscribe to their new unlimited call, text to all networks and surfing data for 1 week called GoSAKTO120. For only 120 pesos, you can now have non-stop call to all your friends and love ones who are Globe/TM subscribers. It also gives your unli all-net texts where you can use send SMS to any network SIM. To complete this offer, they also added 1GB of consumable data allocation that you can use to access your favorite websites and apps for up to 7 days. To avail this promo, all you need is Php120.00 regular load on your Globe prepaid account. Text the keyword or code provided for your reference. Just text GOSAKTO120 or GOCOMBOEED120 send to 8080 to subscribe. Also available in GOSAKTO 140 variant with more consumable data for up to 2GB . 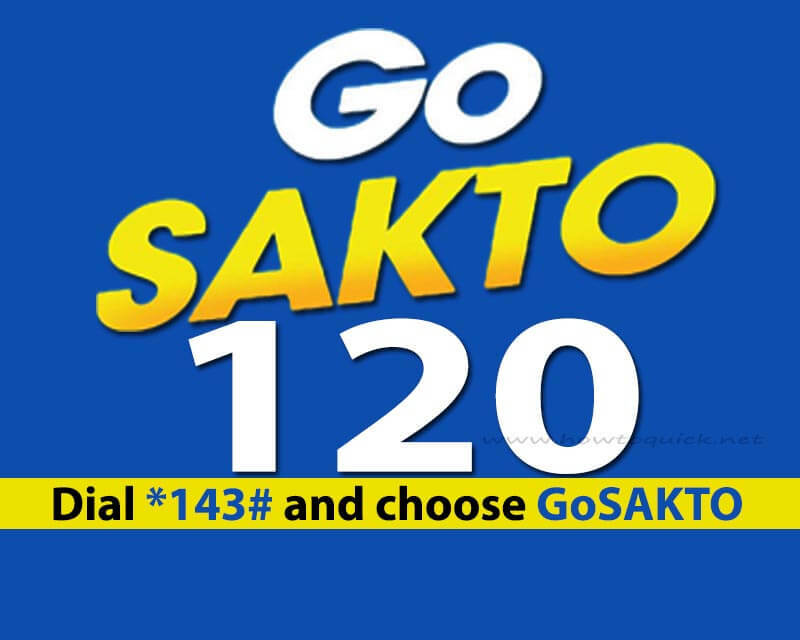 See other list of GOSAKTO promo from Globe. You’ll receive an SMS notification from Globe after you successfully register to this promo. You can also register via *143# then select GoSAKTO to customize and create this kind of offer. To check you remaining balance, text the code GOSAKTO STATUS then send to 8080. Here's how stop GoSakto promo subscription, just text the code GOSAKTO STOP and send to 8080.